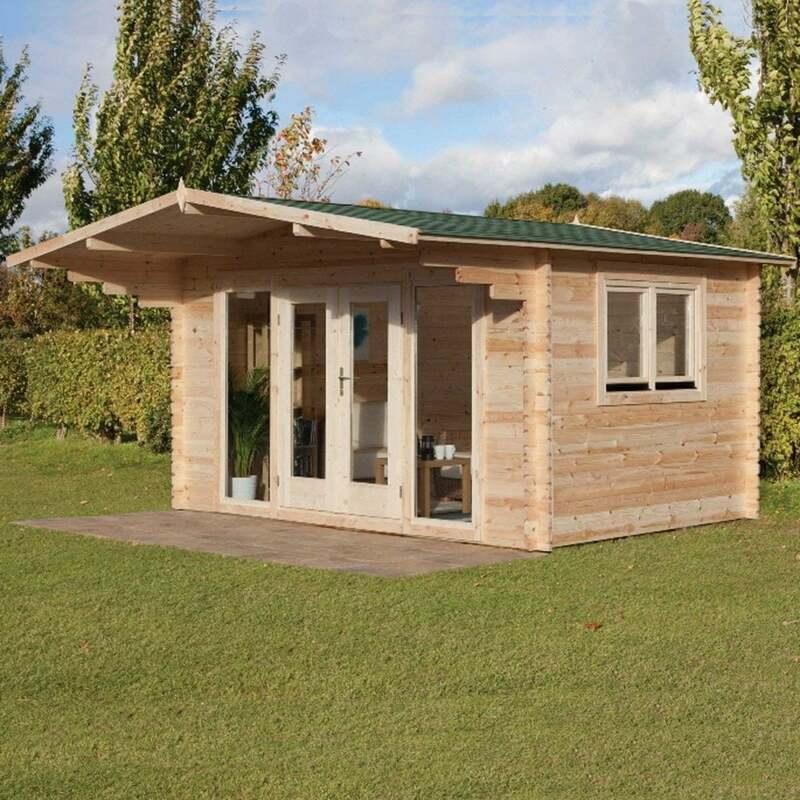 Forest Garden Abberley Log Cabin 4.0m x 3.0m: The Abberley Log Cabin by Forest Garden is an impressive garden building that will allow you to fully enjoy your garden and can be used as a relaxing retreat or outdoor office. The Forest Garden 4.0m x 3.0m Cabin is constructed from 34mm kiln dried Nordic Spruce machined logs and 19mm tongue and groove timber boards for the floor and roof to give additional stability and strength. The Abberley Log Cabin features full length double glazed doors, two fixed full length windows and opening tilt and turn side window which can be placed on either side of the cabin and allows for greater air ventilation. The Forest Garden Log Cabin includes a large 1.2m floating roof overhang to provide shelter and shade from the elements and is finished with green shingle roof material for an attractive finish.